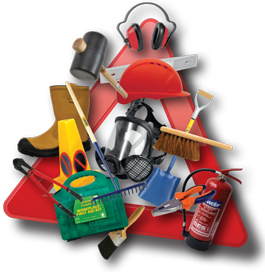 Keeping abreast of Health and Safety working practices on site requires management to give clear warnings to site personnel of identified hazards. Whilst most hazards are covered by signs from our standard stock range, there is often the need for signs to be made bespoke to a particular hazard. At our depot, we have high specification vinyl sign making machines, linked to powerful software, which enables us to produce high quality hazard and warning signs quickly and efficiently in house. Signs can be designed, produced and delivered within 48 hours to enable you to protect your employees in the workplace. We are also able to produce road signs utilising the same process. For example, signs can be produced to inform motorists of durations of road closures or specific hazards. Any font, size or colour that you require can be designed and produced on a variety of materials.